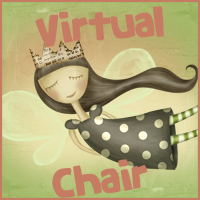 Today sitting on the Virtual Chair are Jaime and Patricia from Two Chicks on Books. Follow Jaime and Patricia on Twitter. Don't forget to check out their blog! 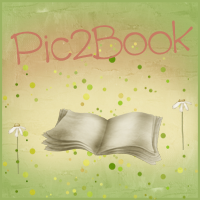 What do you like most about book blogging? Patricia: Although I tend to be a bit shyer than Jaime, I really like “meeting” new people. I like the interactions between the authors, publishers, bloggers and readers. Jaime- Meeting other readers and bloggers and being able to share my thought on books with people! I also got my job (Publicist at Entangled Publishing) because of being a book blogger so I think that’s pretty sweet too! Patricia: I don’t remember the first book I read exactly, but I do remember being read to, a lot. My mom would read to my siblings and I often, all the classics such as Little Red Riding Hood, Cinderella, and others. The first book that I remember loving, truly loving, as a child was Mrs. Frisby and the Rats of NIHM. It’s still one of my favorites. My youngest son and I just finished reading it. Jaime- Honestly? I can’t remember the first I remember reading and loving though was Alice in Wonderland. Patricia: I’d love to be somewhere near the ocean or the water, sipping a nice glass of wine or perhaps a rum & coke, reading. Jaime- On a beach somewhere drinking a margarita and reading. Have you ever had a book related dream/nightmare? Can you tell us about it? Patricia: I don’t hardly ever remember my dreams but if I did they’d probably involve my family or some totally HAWT guy. Lol. Patricia: Of course, I’m a mother of three. If you could wish for anything…what would you wish for? Patricia: Hmm, I think I’d wish that my children grow up to find true happiness. Patricia: I’m not sure. I’m not that fond of my name as I’ve always thought it was more of an “old lady” name. lol. But I’m not sure what name I’d pick for myself. I really like the name Grace but I don’t see myself as a Grace. Do you have any pet peeves when it comes to reading? Patricia: Well, tapping noises truly annoy me. I also get very annoyed if I’m at the good part of the book and all of a sudden I hear “Mom! !” AGH!! But if you mean within books, well…I hate when certain words are overused such as “chagrined”. Also, typos and series that never seem to end. Jaime- Oh I have tons! I can’t stand never ending chapters, books with a lot of typos, plots with huge holes, annoying main characters, tiny print, bad ebook formatting…. I think that’s enough. Patricia: Insurgent by Veronica Roth. That book is powerful and full of twists and turns. It delivers in the most heart-wrenching and jaw-dropping way. Jaime- Grave Mercy by RL LaFevers I bawled like a baby! Patricia: I don’t think that I can name just one. I’ve read several books this year so I’ll give you few. Although Shatter Me by Tahereh Mafi was released last year, I just read in this year and it was excellent. Also, Everneath by Brodi Ashton, Insurgent by Veronica Roth, Sweet Evil by Wendy Higgins and The Immortal Rules by Julie Kagawa just to name a few. Jaime- Can’t narrow that down to one so here’s a few. Grave Mercy, Defiance, Starling, Under The Never Sky, Everneath, Masque of The Red Death, Unraveling, Sweet Evil, Soulbound (Legagy of Tril), The Immortal Rules, Insurgent, Of Poseidon, Shadow and Bone, and Onyx. Thanks to Jaime and Patricia for answering my questions! You guys are too much fun! Love your answers ladies! And I love how you both couldn't just choose one. LOL!